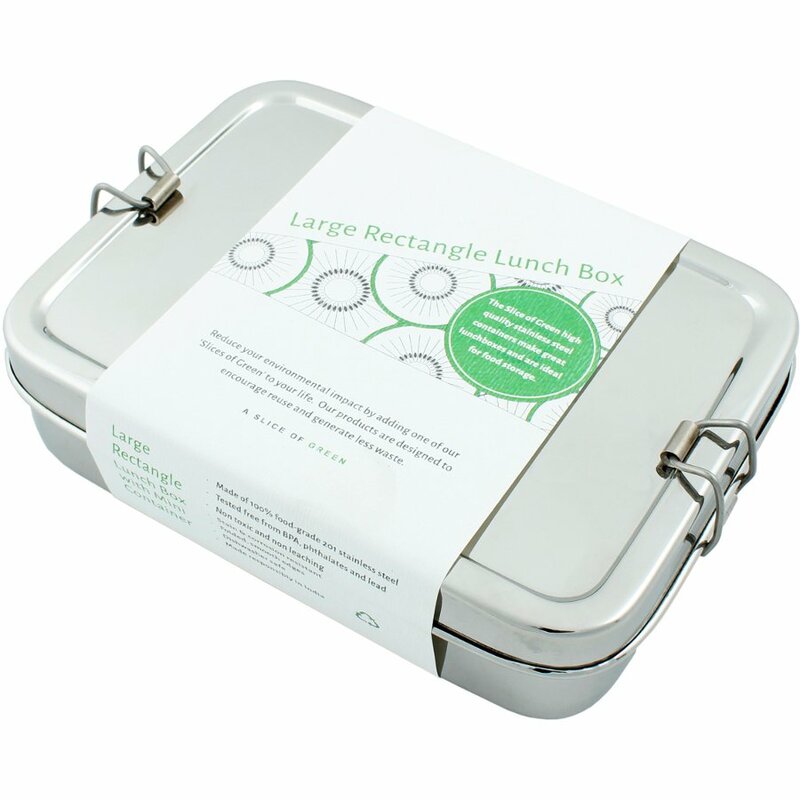 This slice of green rectangle lunch box is the perfect accessory for work, school or days out, stylish, ethical and made with food grade steel. 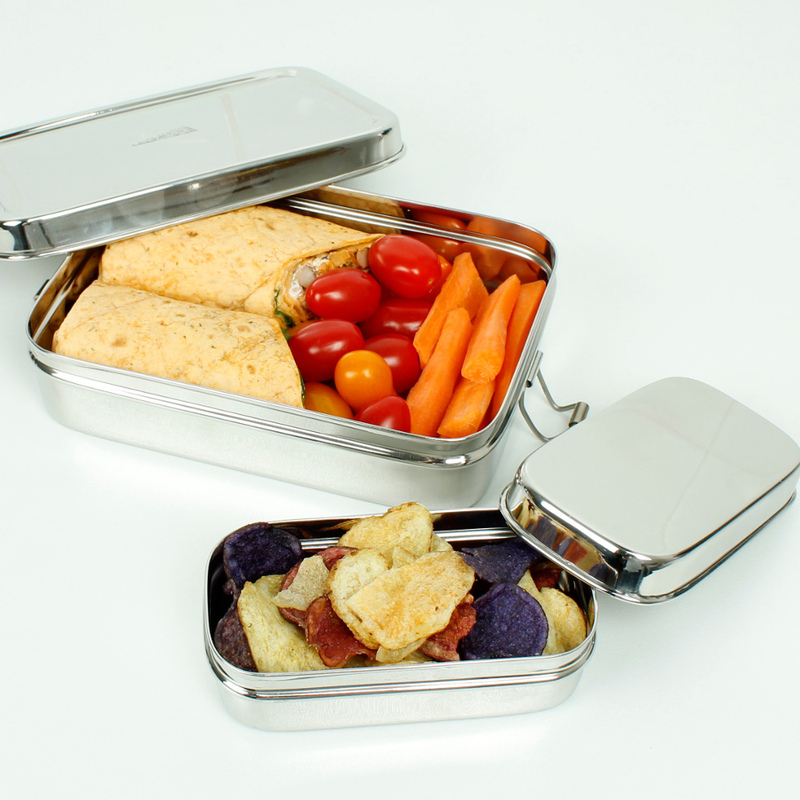 Live your life sustainably by taking your own healthy food in compact neat containers (which are free from plastic, BPA, phthalates and lead) wherever you go, saving on waste created by single-serving packaged meals and snacks. 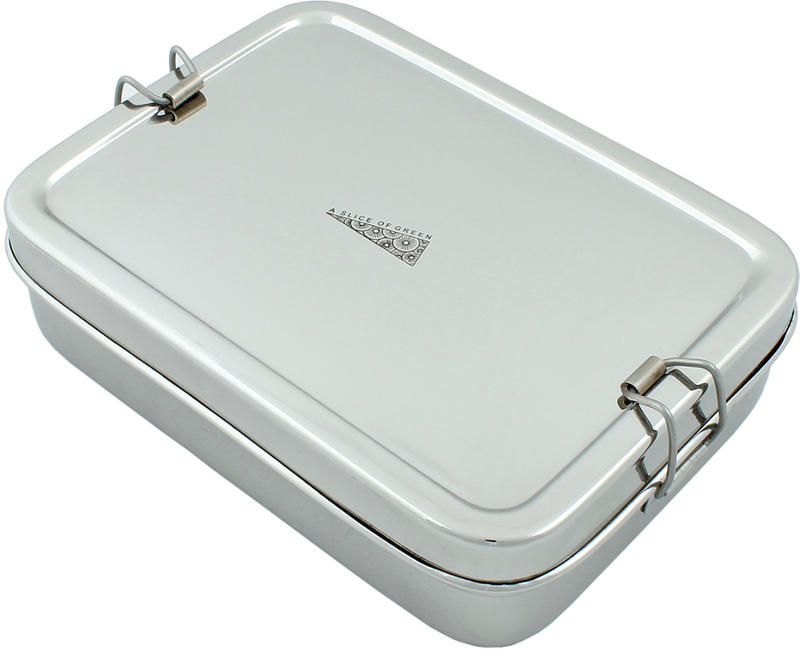 Overall Dimensions: 13cm x 18cm x 4cm with a 700ml capacity. 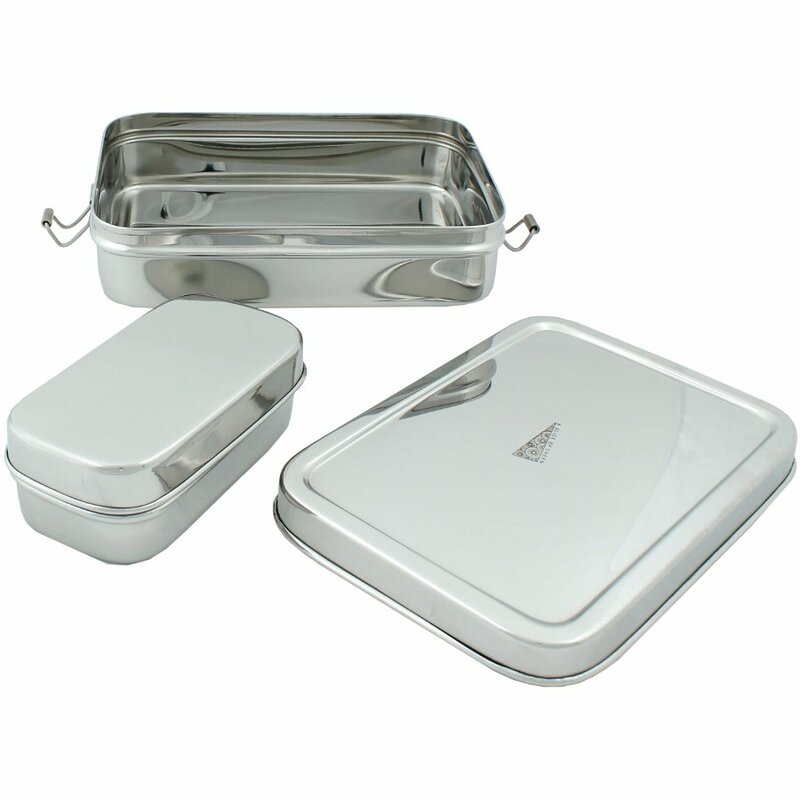 Mini Container: 6cm x 12cm x 3.5cm with a 200ml capacity. 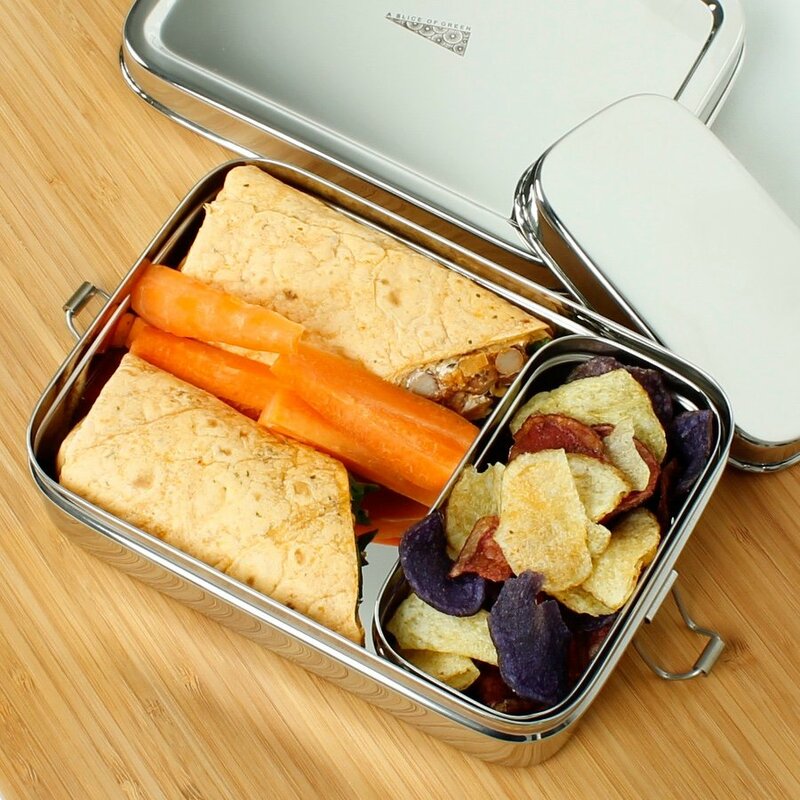 Rectangular shaped lunch box with clip closure and a separate mini container which fits inside, perfect for transporting your healthy snacks. Dishwasher safe but not suitable for use in a microwave. 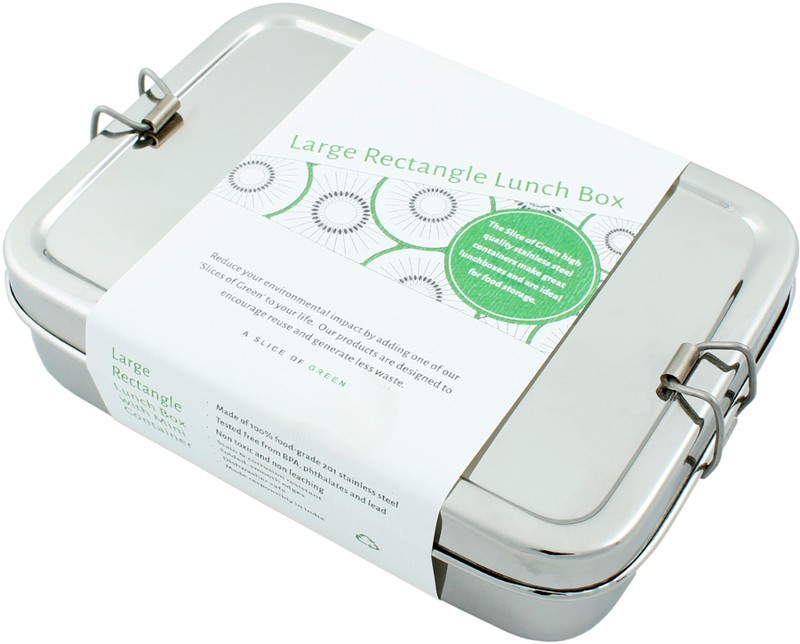 The A Slice Of Green Large Rectangle Lunch Box with Mini Container product ethics are indicated below. To learn more about these product ethics and to see related products, follow the links below. It is a really good container but a bit smaller than I thought. My fault, I should have checked the measurements more carefully but it wouldn't hold much more than a sandwich and the smaller container perhaps a small salad. I will keep an eye out for a slightly larger one though the quality is excellent. The quality of first rate and certainly helps in our quest to become Plastic free. Bought for husband to take to work. He's very impressed. More aesthetically pleasing than plastic, we feel. 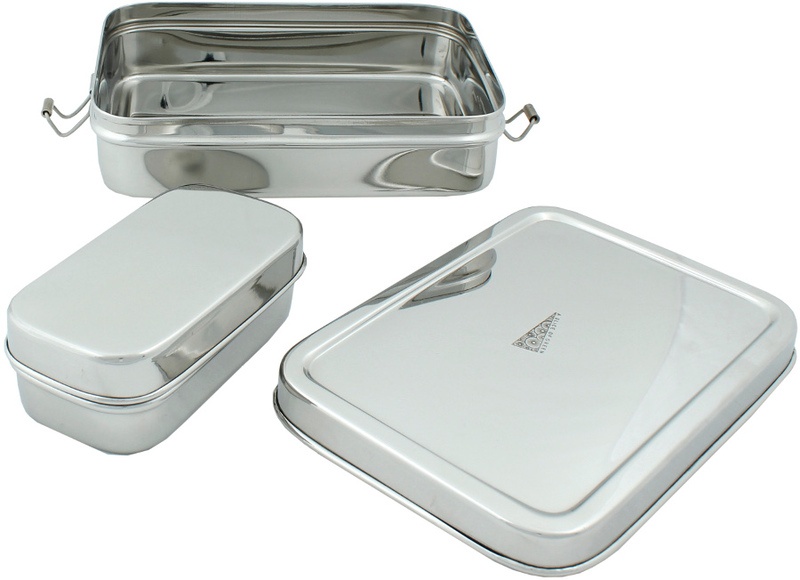 Q: Hello, rnrnAre these types of containers leak proof do you know? A: Hi there, Many thanks for your query and apologies for the delayed response. 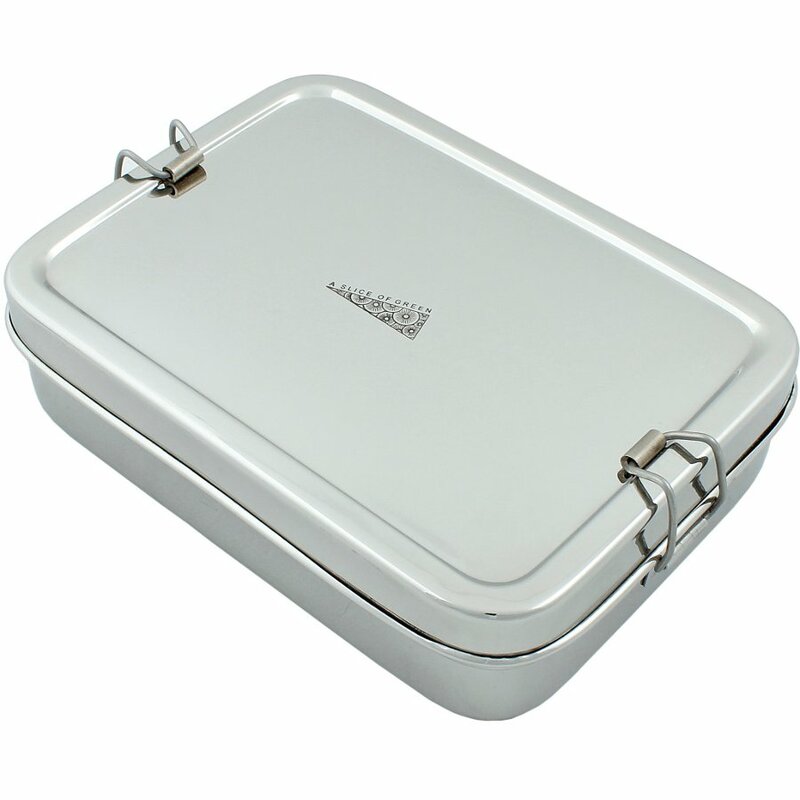 The lids of these lunch boxes to not have a watertight seal, therefore they will not be leak proof. I hope this helps. A Slice of Green bring us brilliant plastic-free alternatives free from nasties such as BPA, phthalates and lead. Their products help you live a more eco-friendly lifestyle.